If anyone personifies the craftsman area of audio in the USA, it would have to be Don Garber and his made-to-order hand-crafted Fi electronics. 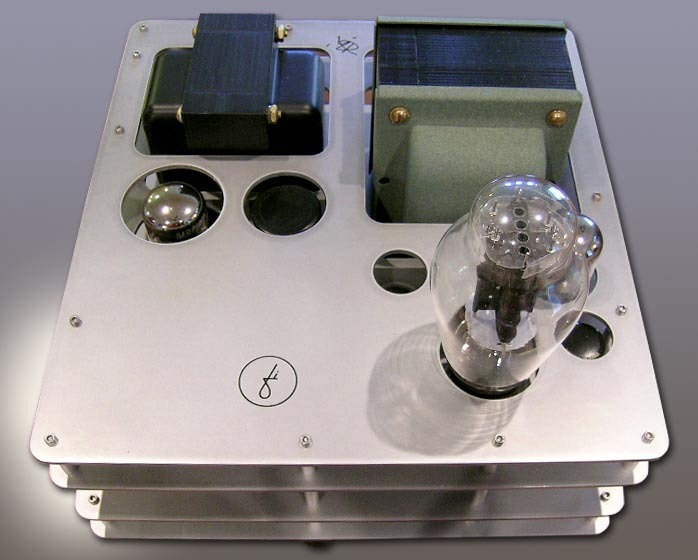 While Don's designs are often associated with the direct-heated 2A3 triode that has been made famous through his Fi 2A3 amplifier line, in the beginning it was actually the classic Western Electric 300B that got Don hooked on the benefits of SET amplification. In the late 1980s a friend of Don's -- John -- told him about the musical merits of his 'new' Western Electric 91-A amps using 300B tubes that had come from an old movie theater system. Intrigued, Don paid John a visit. They were "nice and scabby looking," recalls Don, "like they'd been strapped onto projectors for 30 years - and probably had been." When they fired up John's system with the Western Electrics, it sounded great and more importantly, played music superbly. Nobody was building SETs in America at that time. Rescuing old vintage gear like the Western Electric 91As and putting them back into service was really the only option then. 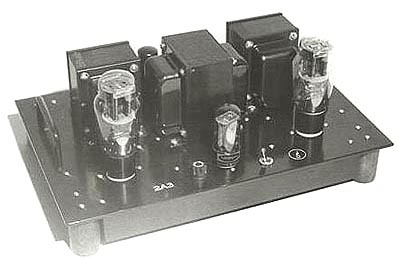 (similar to a 2A3) and Gordon Rankin's 845 amplifier. 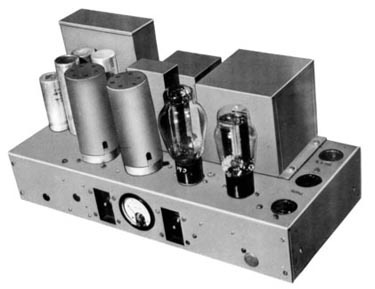 Don then developed his own amplifier, the Fi 2A3 Stereo [below], whose fame quickly spread. 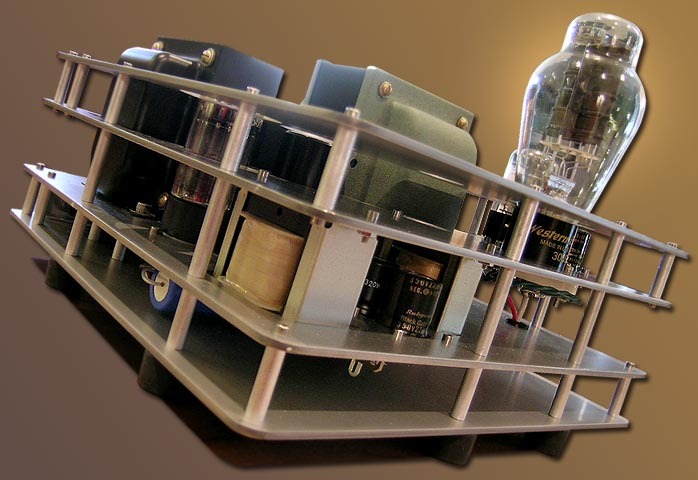 While Fi the store has now passed as a footnote into the history of the SET movement, Don still offers his own handcrafted preamplifiers (phono and line stage) and single-ended triode integrated, stereo and mono amplifiers based on the 45, 2A3 and 300B DHTs and the 421A under his Fi banner. A while back I received a message from Don asking if I would be interested in hearing his newly re-designed Fi 300B mono amps. Would I? You bet! Says Don: "The new 300Bs came about when I got an order from a well-known NY jazz musician. I'd wanted to redesign the chassis for a while since the earlier chassis was ever so slightly unstable and was on one occasion damaged in shipping. I asked if he would mind waiting a little longer while I did the redesign of the chassis and he was very gracious about it. I should have known that as soon as the chassis was up in the air, the whole circuit would be too. It was also about this time that Srajan was doing his review of my WE421A along with one of the Yamamoto amps and someone's 300B monos. In that review it sounded like that 300B was a genuine dog, even accounting for differing tastes. "I'd been hearing little bits of 300B-bashing when people would call to order a 2A3 or a 45 amp, saying 300Bs were "slow" or "mushy" or even "dull". That's what the word going around seemed to be. Always remembering to never argue with a customer (well, almost never), I just let these remarks slide. Maybe I was in some way just a little bit responsible because not too many years earlier when everyone seemed afraid of low power (not completely without justification considering the available speakers then), I'd have to try to wean people away from paralleled 845s and paralleled push-pull 300Bs with stories of the magic of the lower-powered DHTs. It sounded like the amp that Srajan was talking about had truly 'brought the chickens home'. I kept thinking ... the 300B is a good tube! After all, it was a WE 91A amp that got me back into this whole thing. So I went to work." "The new design is three-stage, all direct-coupled. There are two stacked power supplies, which make the direct coupling possible. It's a little simplified from the previous version but there are a few little additions. I also took a long time auditioning parts and there were a few surprises. As it stands now, there's no cathode bypass cap on the 300B where previously there was (I may still be out on this - I almost wish I'd sent you a pair with a switchable cathode bypass. It greatly affects placement in the soundstage, particularly voices). So it's a little closer to your 2A3 monos, which have never been bypassed in this respect. The price of the new amps is $5,900/pair with Electro-Harmonix 300Bs. I'm tempted to supply them with WE tubes, which I think are the best but everyone seems to have their own opinion. I also like the TJ (or Sophia) mesh globe tubes; they sound good and are beautiful to look at. And reasonably priced, too. Since the prototype, I've had the plates for the chassis laser cut, which speeds up the process quite a bit. Putting a pair together takes me a little over a week (it was three times that when I did all the chassis work like I used to). Orders are backed up so at the moment any order will have a lead time of about four months. And that's hoping that we can keep Mike LaFevre off his motorcycle so he can make some trannies for me. My new Fi preamp is up and running in prototype form too and sonically there are a few tweaks to be done but it's everything I've hoped for. I've also got a direct-coupled push-pull amp in the works that holds a few surprises." 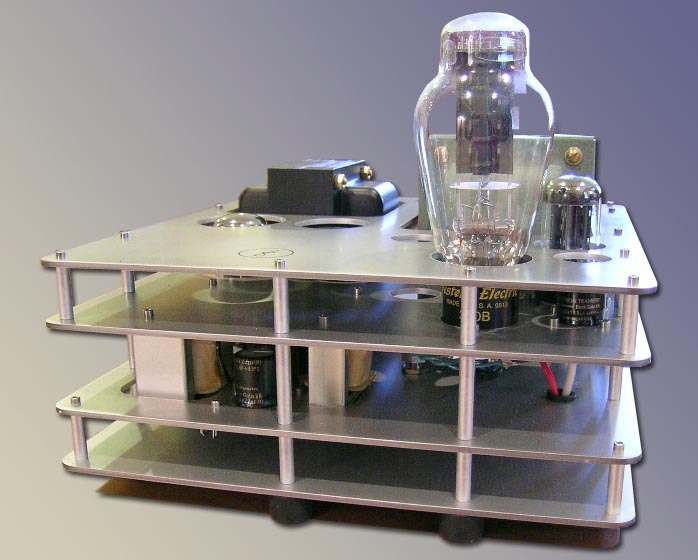 The Fi 300B mono amplifiers are really stunning to look at, much more so than the accompanying photos could reveal. They are beautifully crafted in aluminum like a 3-dimensional chessboard, laid out in such a way as to provide the shortest paths between components. I was really quite captivated by looking inside the different levels at all the different components and their layout - way cool! With those big beefy output transformers finished in an attractive sage green and the finely sculpted aluminum 3-D chassis plus those glowing Western Electric bottles, the new Fi 300B mono amps continue Don's tradition of making electronics that qualify as a true work of art. Beautiful! 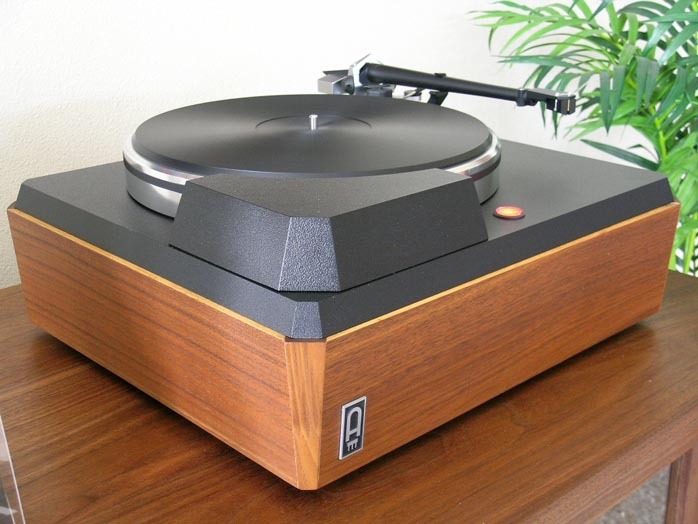 I gathered listening impressions primarily using the musically enchanting Paschetto Engineering 2008 turntable that is a massively hot-rodded version of the classic Empire 208. For Redbook CD digits I used the underground favorite Sony Playstation 1 SCPH-1001, and for other things digital an Apple MacBook driving a 47 Labs Shigaraki DAC via a Hagerman HagUsb USB to S/PDIF converter (reviews to come shortly). For a preamplifier I used the superb Shindo Monbrison, which was fed signals through an Auditorium 23 step-up transformer for analog and a Shindo Arome transformer for digital. For speakers I used either my personal music lovers' benchmark, the Harbeth Super HL5s or the exotic ART Emotive Signature from Scotland presently in for review. Don sent me both the Western Electric and Electro-Harmonix 300B tubes to try. To kick off my listening session, I spun various LPs while swapping out Western Electric and Electro-Harmonix 300Bs. Let me cut to the chase: the WEs were vastly superior to the Electro-Harmonix. The Western Electric's play music wonderfully well, they are rich and musical, they are warm and harmonically complex and they quite simply do everything better than the Electro-Harmonix which sound lean, bleached and hifi-ish by comparison. Whatever you have to do to come up with the extra cashish for the WE 300Bs is worth its weight in musical gold. So enough about that. All my impressions to follow will be with the WE 300Bs playing the tunes. Fis highlight the timbre of individual instruments over the timbre of an entire performance, making it easy to pick out and follow instrumental lines in Favorites. The Fis also recover quite a lot of inner detail and nuance, allowing instruments to display a lot of their individual character and musicians to display a lot of technique. The Fi 300B presents a grand palette of musical textures in Favorites and in classic single-ended triode fashion, the Fi also lights up the space around each instrument with fire-like ambient glow. was very impressive on Cookin', with lots of player technique in evidence and really good articulation between bass tones - definitely not a one-note bass presentation. easy when the performance adapted. Sonically, the Fis are very impressive: there is superb imaging with lots of flesh and blood body and the soundstaging is vast in depth and width. While the sonics are great, they don't detract from the music in the way some sonically spectacular amps do. The overall musical gestalt remains intact. The guitar playing on "I Almost Cut My Hair" was perfection itself and the musical whole was presented as an interesting sonic tapestry rather than just an assemblage of instruments. The portrayal of "Helpless" blew me away with the interplay between Neil Young's vocals and the harmony of the backing vocals. The Fis also nailed the beat in "Woodstock" to produce the sense of manic urgency that the period requires. The Fis emphasize beat over melody to a small extent, which works to their advantage on rock but less so with improvisational jazz melodies. casts too. 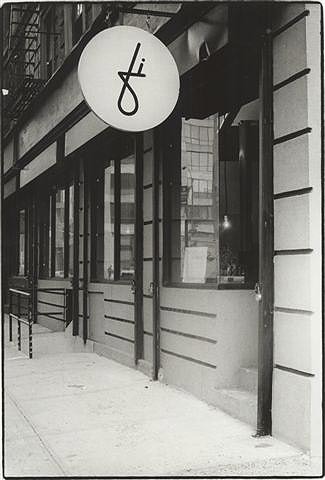 Through the Fi 300B monos, the digits were always presented as inviting and enjoyable music. Who says you can't mix the best of old and new technology in such a way as to exceed the fun factor of each? It works great! 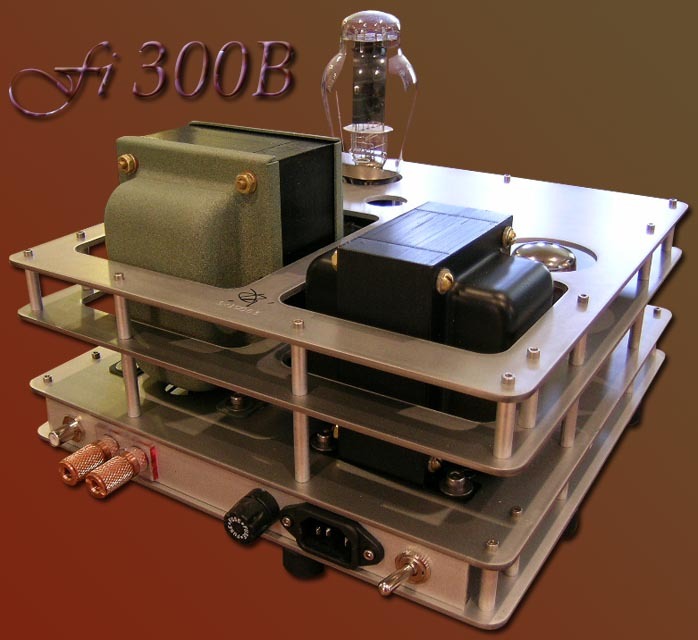 The Fi 300B mono amplifiers are beautifully hand-crafted amplifiers by Don Garber that represent the very best of what 300B tubes are cable of musically and sonically. 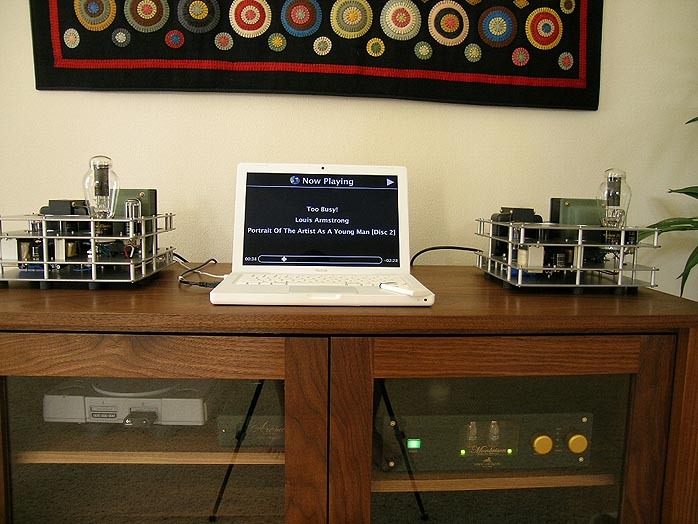 At $5,900/pr, they're priced well below other state-of-art 300B mono amplifiers, making them good value for the money. 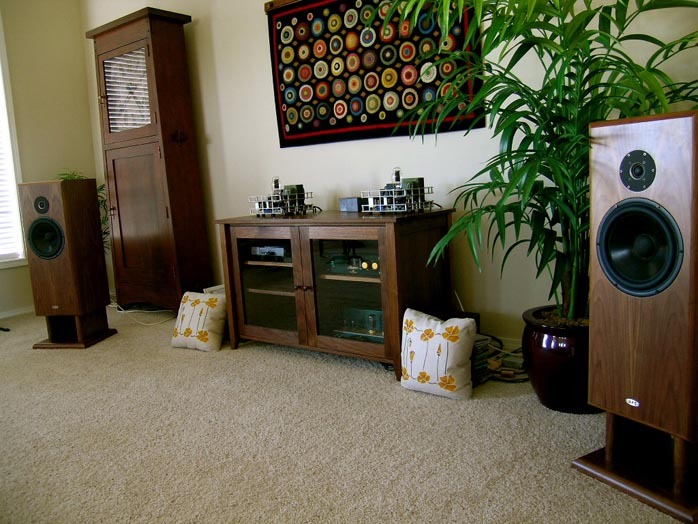 The Western Electric 300B tubes are a must to realize their full musical potential. The Fis are the most even-handed 300B amplifiers I have yet come across. They are clean and extended on top, with bass that can go deep while still maintaining a very articulate feel to never ever sound flabby or boomy while possessing an ever so slightly warm midrange that is possessed of elegance and life-like articulation. The Fis are dynamic amplifiers that deliver a solid sense of beat and a convincing portrayal of musical tempi that faithfully capture the way live music flows over time. Sonically the Fis recover a lot of detail, provide very good articulation of vocals, give a large sense of space and soundstage and build on rock-solid imaging. Highly recommended to 300B-loving HiFi nuts everywhere! Quality of packing: Cardboard shipping container with cardboard and foam packing materials - nicely done. Completeness of delivery: Includes generic power cords. Quality of owner's manual: There isn't one. Website comments: There isn't one. Human interactions: With Don Garber the only kind of interactions you get are the human kind and I've always found him to be professional and courteous. He's a gem. What else can I say? Application conditions: Only 9 watts. Pricing: Considering the quality of construction, the excellence of sonics and musical ability, the Fi represents a good value compared to other state-of-art 300B amplifiers even when considering the extra cost of the optional WE 300B tubes. To retube the pair with original stock tubes (Chinese or Sovtek 5AR4 rectifier, NOS 6SN7GTB driver, EH 300B power tube) will cost $280. Final comments: All Fi products are built to order and due to demand, there is a back log. Contact the designer to discuss potential waiting periods and custom options.